Snap's stock has gained by more than 110% this year. Investors have been optimistic about the stable user growth and company initiatives. Users will continue to decrease as its core users age. The stock price of Snap (SNAP) has more than doubled this year. Investors have cheered the company’s revenue increase, improved margins, increased revenue per user, and its iOS app updates. In addition, they have cheered its continued boost of the Snap Originals and its recent entry to the gaming industry. It has received a number of upgrades from analysts at Citi (C), RBC Capital Markets, Summit Insights, Raymond James, and Cowen (COWN). I have been short for a long time. Before it became a public company, I argued that it’s IPO provided the best opportunity for short sellers. Since its IPO, the company has lost more than 50% of value. While the current rally has been painful for me as a short seller, it has not changed my thinking about the company. In this article, I will explain why I have increased my short position ahead of the upcoming earnings. Investors have cheered the company’s growth in average revenue per user (ARPU), which increased by 37% in the last quarter to $2.09. While this improvement was good, I believe that it does not tell the whole story. According to Snap’s 10k, the ARPU is calculated by dividing the quarterly revenue by the average daily Active Users (DAU). If the revenue increases and the number of users decline, the ARPU will definitely be high. This has been the case with Snap, which has seen its annual revenues grow from just $54 million in 2015 to more than $1.18 billion in 2018. Its daily active users have decreased from a peak of 191 million in Q1’18 to 186 million in Q4’19. The company’s product has been losing members, which is not a good thing for a social media company. These members are jumping ship to Instagram, which has more than 500 million daily active users. In addition, new social media platforms that target the young demographics are coming up. An example of this is TikTok, which has more than 150 million DAUs in China alone. 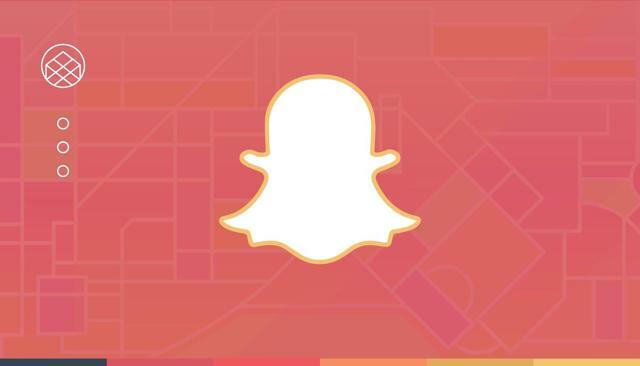 In a recent report, eMarketer expects the number of Snap users in the US to remain relatively unchanged. I believe that Snap will continue losing users in future. This is because it is now mostly used by people between 18 and 35 years. In the next ten years, the current generation will likely not be using the app. The young students who use it will be busy with work while the older generation will be busy with work and raising their families. The younger audience the company will target will probably be in other platforms. This cycle has been proven by Facebook, which was once viewed as the cool place in the internet by young people. Today, most of its users are between 25 and 44 years. Facebook’s strong financial position has made it pivot to other platforms like Instagram and WhatsApp. To increase engagement, Snap has pivoted to original content and gaming. While the originals is a step in the right direction, I believe that only a small portion of its users will watch the clips. Very few users will create accounts with the goal of watching these clips also. The same is true with gaming, which I believe will be a small niche product. Also, production of these shows will be expensive, coming at a time when the company is yet to turn a profit. As an investor, I like buying companies that solve a problem. For example, I have invested in Shopify (SHOP) because I believe its e-commerce platform is better than that of its peers. I have invested in Alphabet (GOOG) because it is the best search engine provider that has more room to grow in the cloud industry. I have a small stake in Twitter (TWTR) because I believe that its platform is valuable for news distribution. According to the 10K, the company says that it contributes to human progress by empowering people to ‘express themselves’, ‘learn about the world’, and ‘have fun together’. The company surely does these things but I don’t believe that it solves any problem. By this, I mean that the world would do just fine if Snap stopped operating today. If this happened, the company’s users would simply move to Instagram, which is exactly similar. In fact, its most influential figures like Kylie Jenner, Kim Kardashian, and Taylor Swift are also the biggest influencers in Instagram. The problem with companies that don’t solve any problem is that they can easily be replaced. When investing in companies, I always recommend companies that are a bit cheaper. However, I often break this rule when investing in some technology companies like Shopify and Twilio (TWLO). This is because their growth can compensate for their stretched valuations. In Snap’s case, we have a highly overvalued money-losing company, whose growth is slowing. At the current valuation of more than $15 billion, the company’s forward price-to-sales ratio for this year is about 7.8, which is higher than Facebook’s 6.1, Twitter’s 6.6, and Alphabet’s 4.4. With this valuation investors are assuming a few things. First, they assume that Snap will be immune to the privacy problems that have been a thorn in the flesh for Facebook. If regulations come, I believe they will also apply to Snap. Second, they assume that the new content will help retain users. I believe that these new additions will be used by only a tiny number of users. Third, some assume that the company could be taken private or acquired. I believe that no major company would want to buy the company at these valuations. I have been short Snap for a long time. Even with the current bull run, I believe that the company’s model is still broken. For this reason, I have increased my short position ahead of the upcoming earnings, which will be released on April 23rd. To be clear, the short position forms only a small part of my entire portfolio. Also, as a long-term investor, I intend to hold this short position for the next 5-10 years. Disclosure: I am/we are short SNAP. I wrote this article myself, and it expresses my own opinions. I am not receiving compensation for it (other than from Seeking Alpha). I have no business relationship with any company whose stock is mentioned in this article.